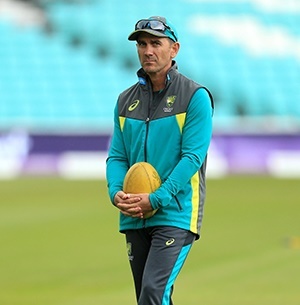 Sydney - Australia coach Justin Langer on Monday admitted some players will be "brutally unlucky" as he faces a World Cup selection dilemma with the return of Steve Smith and David Warner. The defending champions must name their 15-man squad this month for the tournament in England and Wales and Langer said the make-up was becoming clear on the back of the resurgent team's stunning eight-game one-day win streak against India and Pakistan. Langer said having Warner banging down the door to open the batting - a position he has occupied in all but one of his 104 ODI innings - was a "good problem" to have.